The team turned its research focus to the most complete of the 12 skeletons discovered and specifically toward three little bones from the hobbit’s left wrist. 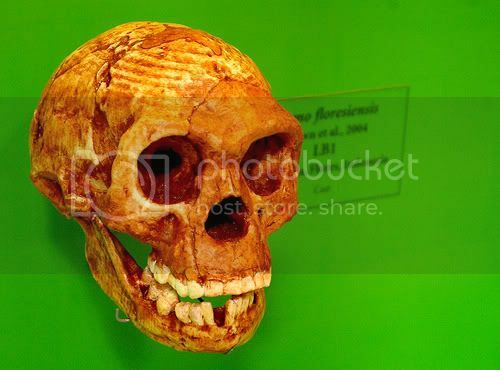 The research asserts that modern humans and our closest fossil relatives, the Neandertals, have a very differently shaped wrist in comparison to living great apes, older fossil hominins like Australopithecus (e.g., “Lucy”) and even the earliest members of the genus Homo (e.g., Homo habilis, the “handy-man”). But the hobbit’s wrist is basically indistinguishable from an African ape or early hominin-like wristâ€”nothing at all like that seen in modern humans and Neandertals. The international team used cutting-edge 3-D technology to compare and quantify the shapes of the different wrist bones. Many of the sophisticated 3-D techniques used for the analysis were developed during the past few years at the Partnership for Research in Spatial Modeling at Arizona State University. Tocheri and Orr both worked as graduate research assistants at PRISM, where they learned how to apply these 3-D techniques toward their research interests in paleoanthropology. The other authors of the paper are Susan Larson (Stony Brook University, New York); Thomas Sutikna, Jatmiko, E. Wahyu Saptomo, Rokus Awe Due and Tony Djubiantono (National Research and Development Centre for Archaeology, Indonesia); Michael Morwood (University of Wollongong, Australia); and William Jungers (Stony Brook University, New York). Various aspects of this research were funded in part by the U.S. National Science Foundation, the Wenner-Gren Foundation, the Leakey Foundation, the Australian Research Council, the National Geographic Society, the Social Sciences and Humanities Research Council of Canada, the Smithsonian’s Fellowship Program and the Smithsonian’s Human Origins Program. You mean the Hobbit’s a clown now?